For more than 12,000 years, Native peoples have lived on the land that is today the UW-Madison campus. Evidence of this long human occupation is inscribed all across the campus landscape. Earthen burial mounds, including unique effigy forms constructed over 1000 years ago, can be visited in several parts of the Preserve. Learn about the more than 40 archaeological sites across campus. 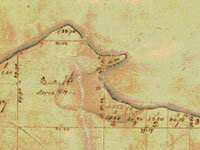 In 1834, the federal government sponsored a survey of the lands that fourteen years later would become the state of Wisconsin . The maps and field notes gathered by the original surveyors provide us with a fascinating snapshot of how the landscape appeared just prior to European-American settlement. Land managers can now use these historical data to help guide their ecological restoration efforts. This document collection includes facsimiles of the original field notebooks and sketches prepared by the 1834 surveying teams. 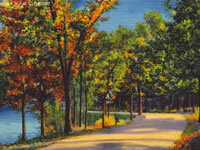 The Madison Park and Pleasure Drive Association (MPPDA) was responsible for building and maintaining an extensive network of recreational carriage roads in Madison beginning in the early 1890s. 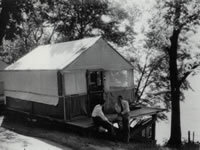 In fact, their first project was to erect a bridge over Willow Creek and to construct a “ Bay Road ” along the shore of Lake Mendota. This inaugural route exists today—but we now call it the Lakeshore Path. Explore the remnants of these pleasure drives all through the Preserve. By closely examining this series of aerial photographs, we can begin to understand how the landscape has evolved over the past 80 years. Choose a location on one of the early images and then find the same place on a subsequent image. Look closely and you will notice open fields gradually close in as trees take over the site. Try to find the orderly rows of fruit trees in the orchards. Can you find the open-grown oak trees that today mark the Big Oak trail at Frautschi Point? In the Madison of 50,000 years ago, the Yahara River flowed sweetly at the bottom of a steep river valley perhaps as much as 600 feet deep. Resilient sandstone layers formed extensive ledges and spring fed streams issued from limestone caves to cascade to the river far below. Incredibly, a natural event of unimaginable scale literally wiped this entire ecosystem from the face of the Earth—glaciers. Hydrology and hydrologic process within and around the Preserve greatly influence the quality and health of its diverse biotic communities. Additionally, the Willow Creek Watershed—which is much larger than most people realize—has a substantial impact on the quality of water in Willow Creek and University Bay. Prairies are grasslands dominated by native grasses associated with a diverse assemblage of flowering herbaceous plants known as forbs. 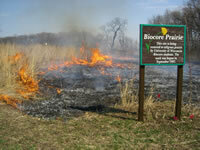 UW-Madison’s Biocore Program has been carrying out tallgrass prairie restoration in the Preserve in the field between Picnic Point and the Eagle Heights Community Gardens since 1997. Wetlands have water at or just above the surface of the soil for much if not all of the year. Known for a distinctive set of plants, wetlands support a wide variety of animals, and provide essential services such as flood and stormwater abatement and water quality management. 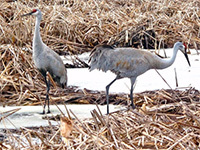 The Preserve has two major natural wetlands—Picnic Point Marsh and University Bay Marsh—as well as a wetland restoration, the Class of 1918 Marsh. 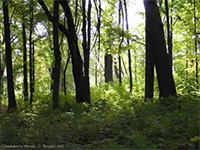 The Woods in the Preserve typify the broadleaf forest common to relatively moist, upland sites in southern Wisconsin. You’ll find a common set of tree species occupying the overstory throughout the woods, but the relative abundance of each varies with slope and aspect (the direction the slope faces). 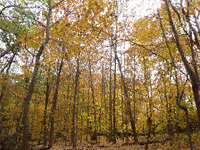 Common species include Bur oak, White oak, Northern red oak, Shagbark hickory, Slippery elm, Hackberry, White ash, Black cherry and Basswood. 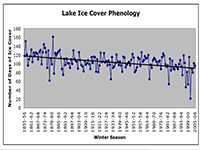 Phenology is the study of observable and measurable events that tend to occur annually. 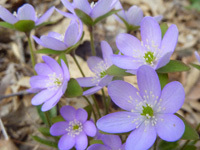 Watching the seasonal cycles of its plants, animals, and physical systems is a fascinating way to deepen your appreciation and understanding of a natural area like the Lakeshore Nature Preserve. 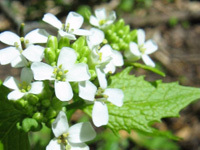 Invasive plants present a significant threat to the quality and biodiversity of the natural areas within the Lakeshore Nature Preserve. 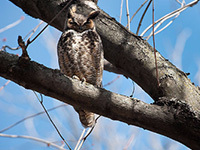 The Lakeshore Nature Preserve provides opportunities for students and the public to view a wide variety of birds in a relatively small area. Over 255 bird species have been seen in the Preserve. 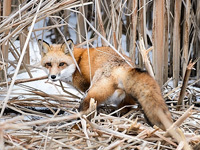 There are a number of mammals that either live year-round in the Lakeshore Nature Preserve, or visit it from time to time. 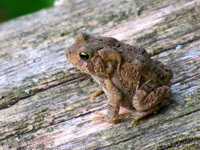 A small number of reptiles and amphibians make their homes in the Lakeshore Nature Preserve. Insects are the most diverse and abundant of all terrestrial animals. 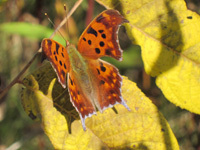 A full listing of the Lakeshore Nature Preserve’s inhabitants has never been tabulated, but it is safe to say that the number of insect species is larger than all other groups combined. The Lakeshore Path connects the far reaches of the Preserve—from Muir Woods through Picnic Point all the way Eagle Heights Woods. The path is accessible by foot and, along designated sections, by bicycle. 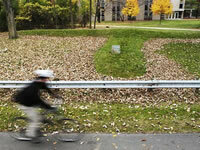 Learn how this network of former work roads, bridal paths, and pleasure drives evolved to form today’s Lakeshore Path. 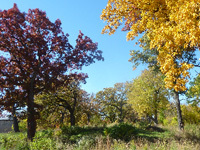 Muir Knoll, a small knob of land on the northern edge of Bascom Hill, is a lovely spot to enjoy a view of Lake Mendota or to access nearby Muir Woods or the Lakeshore Path. The site is named for John Muir, the indefatigable conservationist and one-time student at UW-Madison. The knoll has been a popular gathering spot since the early years of the university. For many years a ski jump was located on top of the knoll. With any luck, the brave jumpers would land on the slope just below the knoll and glide out onto the frozen lake. 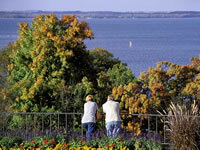 Observatory Hill offers the visitor dramatic views of Lake Mendota and Picnic Point. This part of the Preserve was once part of the university’s Experimental Farm—the lower portion of the north-facing slope was formerly an orchard and a pasture for the College of Agriculture’s sheep flock. The hill’s steep descent was ideal for building a concrete toboggan slide in 1933. Two extant effigy mounds—including an unusual two-tailed water spirit form—can be found along the ridge top. 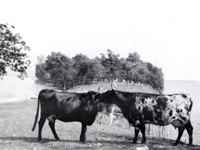 This most famous of all destinations in the Preserve was once a working farm beginning in the early 1860s. At the beginning of the 20th century, the Edward Young family lived here in a large farmhouse until it burned down in 1935. A few clues remain from this earlier era. Next time you visit, try to find the old brick walkway that once led up to the Youngs’ house, or look for the few remaining apple trees from the old orchard. For their golden jubilee gift to the university, graduates of the Class of 1918 contributed funds to restore this marsh opposite the entrance to Picnic Point. 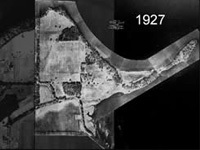 Prior to the restoration, this area was part of a vast marsh west of University Bay. 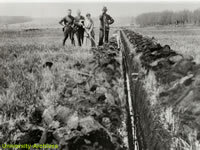 Then, in the early 1900s, the College of Agriculture conducted a research project here to demonstrate engineering techniques to convert wetlands to farm fields. The Class of 1918 Marsh has now restored the wetland that was destroyed by those same techniques. With the acquisition of Frautschi Point in the late 1980s, the university was able to complete the critical missing link in its ownership of the land between the Memorial Union and Eagle Heights Woods. The acquisition of Frautschi Point in 1988 finally linked together the more than four miles of continuous shoreline that we know today as the Lakeshore Nature Preserve. Learn more about the Frautschi family’s extraordinary gift, and also about earlier owners of this property who transformed it into a summer retreat. 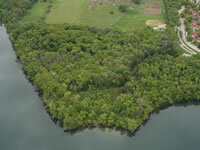 This small parcel of wooded shoreline on the west end of the Preserve was purchased for the university in the early 1980s. 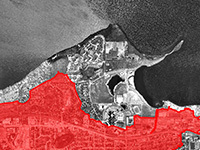 The acquisition of this property was the result of a contentious land-use battle between a private developer, intent on building condominiums, and environmentalists who wanted to preserve one of the last undeveloped stretches Lake Mendota shoreline. Learn more about this controversy and the innovative land conservation easement that now permanently protects this land for public enjoyment. 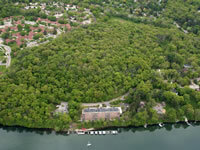 Eagle Heights Woods, perched on a high bluff overlooking Lake Mendota , anchors the far west end of the Preserve. 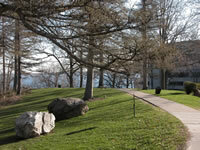 It is the highest point in the Lakeshore Nature Preserve—indeed, the highest point on the southern shore of the lake. Here you will find Indian burial mounds and the remnants of a network of carriage roads dating from the late 1800s. Discover how the university first acquired this property then traded it away– and then finally received it back as the result of a generous donation from the Brittingham Trust.